Here’s a great exercise that is simple yet amazing. Whether you’re a non-fiction writer like me, or someone who loves to write novels, this short exercise will help clarify issues, point you towards new directions, or show you something you missed in whatever it is you are writing. This is the first exercise in Andy Couturier’s Writing Open the Mind. The book’s subtitle is Tapping the Subconscious to Free the Writing and the Writer – and if you do this exercise from a perspective of play, you’ll see some amazing revelations pertaining to your writing project. To begin, keep in mind the writing project you want to focus on. It could be a book, a novel, an article or a simple blog post. Now get a sheet of large paper and make five columns with the following headings: Scenes, moods, questions, concepts and for the last column, faces. All you need now is seven minutes to write as fast as you can, anything that comes to mind pertaining to each column. Under the column “Scenes,” write about places – anything that flows out of your subconscious. “Moods” are about feelings; under “Questions” write any or all the questions you have about the writing project. When I did this exercise, it felt so good to write all the questions about the stumbling blocks regarding the book project I am working on. Under “Concepts,” write down all the ideas and thoughts you have, and under “Faces” write about the people in your novel or article. You’re free to do what you want – fill up the last column first or move from one column to another – no rules as to which column to fill up first. When you’re done, you will gain some clarity about the project you’re writing. Couturier goes further – he asks you to go through the list and choose nine items – number your choices from 1 to 9. The thing to remember though is that it is best to choose items that don’t “flow” together. Think disjunctive, disjointedness, and then free write about each item you chose. Allow thoughts to flow, don’t censor and keep the pen moving. Couturier suggests 25 minutes total for all nine items. You can write a sentence, a paragraph or disjointed words for each item. Whatever comes through . But don’t go for his explanation. Experience it yourself – 35 minutes is all it would take! That’s definitely worth a try, even just to mine what’s in your head and see if something worth writing about comes out. Potentially a good writer’s-block buster. I’m at a “Do I really care about this?” point in a project, and I’m going to use this exercise to answer that question. 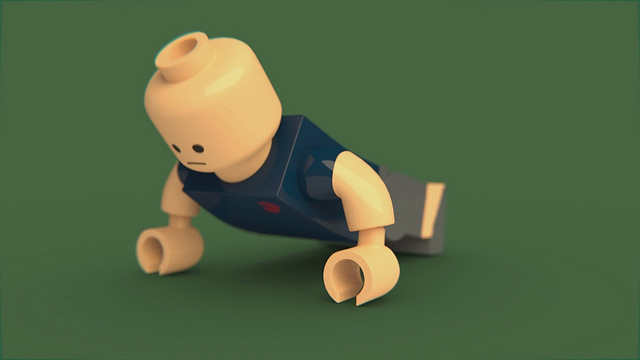 Your exercising Lego man caught my attention! Thanks for a very helpful post!.